Just finishing up a work softball league game at East River Park, most athletes would be down for some greasy bar food and beer. Don’t get me wrong, I’m a huge fan of chicken wings. But with the nice weather and adrenaline pumping from running around all morning, we were craving something different. Being so close to Chinatown that afternoon, a co-worker and I decided to find some dumplings to cure our hunger. 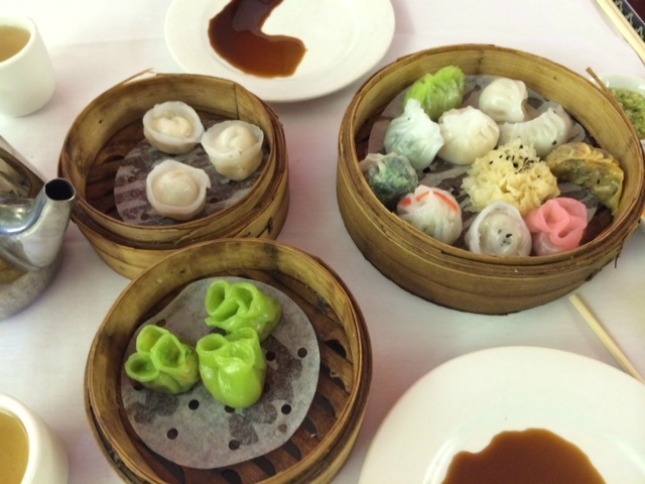 Some delicious, steamed dim sum was just what we were looking for. Walking around to a few spots, Dim Sum Go Go caught our eye, one because it was bumping with young people and two because we could be seated in 10 minutes. 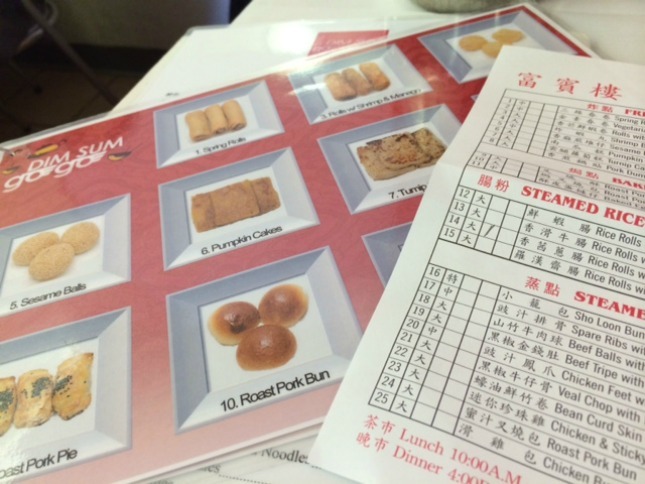 I don’t have a ton of dim sum experience. But I’m always down to try foods I’ve never had and go to places I’ve never eaten at. In fact, I prefer it. Taking a look at the menu, it was awesome to have color photos to look at (not in a corny way) to get an idea of what we were about to order, especially being slightly unfamiliar with the food. Since my co-worker is a vegetarian, we decided to go all out and split a few things — meatless. Which I have no problem with. And since we DID just play a baseball game, a beer was in order. 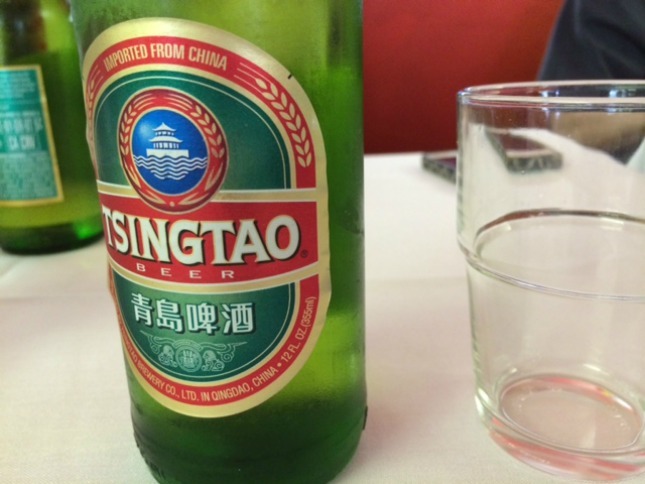 Not bring a huge fan of beer (the lighter the better for me), I was pleasantly surprised how refreshing the Tsingtao we ordered was. A great beer, one that I’d order again. Now on to the food. Getting a variety at a new restaurant is usually my favorite way to go. Asking the waiters what’s good here and checking out sites like Yelp or Foursquare can give you a step in the right direction, but you need to try it yourself. We went with the Seafood dumplings (white), Crabmeat dumplings (green) and the Vegetarian Dim Sum platter (a rainbow of deliciousness). Over all , this spot was fantastic. A little hot tea to go with our meal and we were in dumpling heaven. I’d definitely go back and test out more of the menu (with the help of pictures of course). Not to mention the little sauces and spices they gave us to add on the side, all were mouthwatering and fantastic. Also, the seafood dumplings — number one on my list. Next up… pork, chicken and all of the meat. 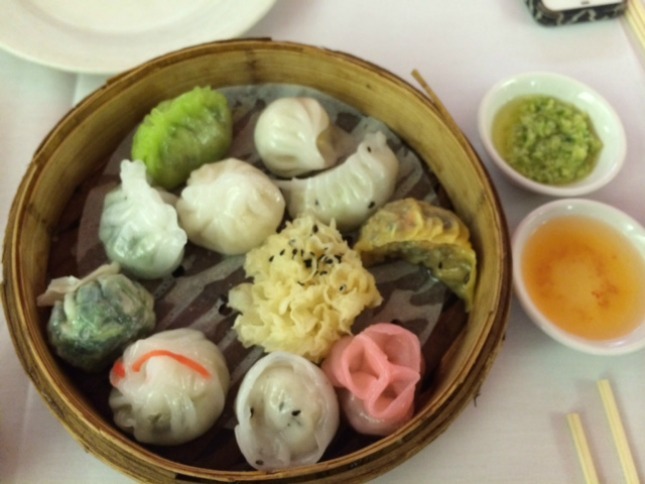 Tags: chinatown, dim sum, dim sum go go, dumplings, LOCAL EATS, manhattan, new york city, ROOKIE CHEF, vegetarian. Bookmark the permalink.